The Condominium consists of seven blocks of five apartments each, one per floor, arranged in a Mediterranean format. It is barred, with electronic gate and watchman 24 h; It has a large swimming pool, two grills and a sauna. The apartment is first floor, arranged on two levels; has two large bedrooms and three bathrooms plus comfortable living room integrated with kitchen and laundry area. It can host up to 10 adults or 8 adults + 4 children under 13 years. It has TV, refrigerator and stove, plus kitchen accessories, sofas, mattresses and ceiling fans and laptops. 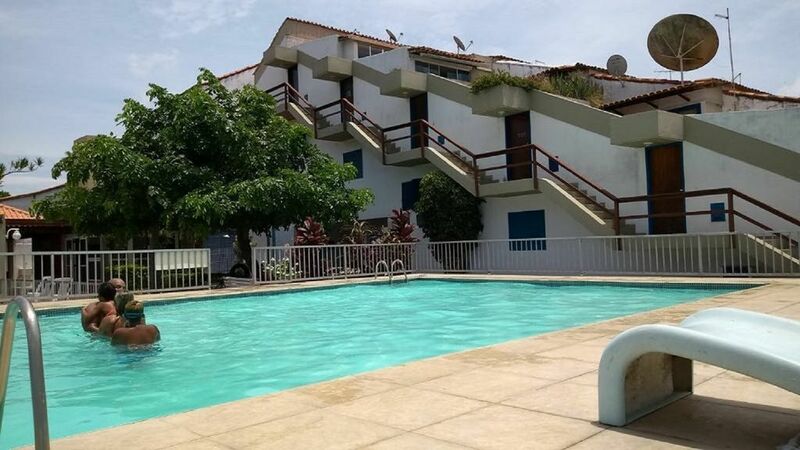 The Villas Portinho Condominium is close to the Itajuru Canal and the Cabo Frio Center. It is 1.2 km from Praia do Forte.